Chatree operates in accordance with Kingsgate’s Sustainability Policy. The primary aim of the policy is to manage the Chatree asset ethically, so the people of Thailand and the Company prosper together, enjoying safe, fair and rewarding working relationships and a healthy living environment. 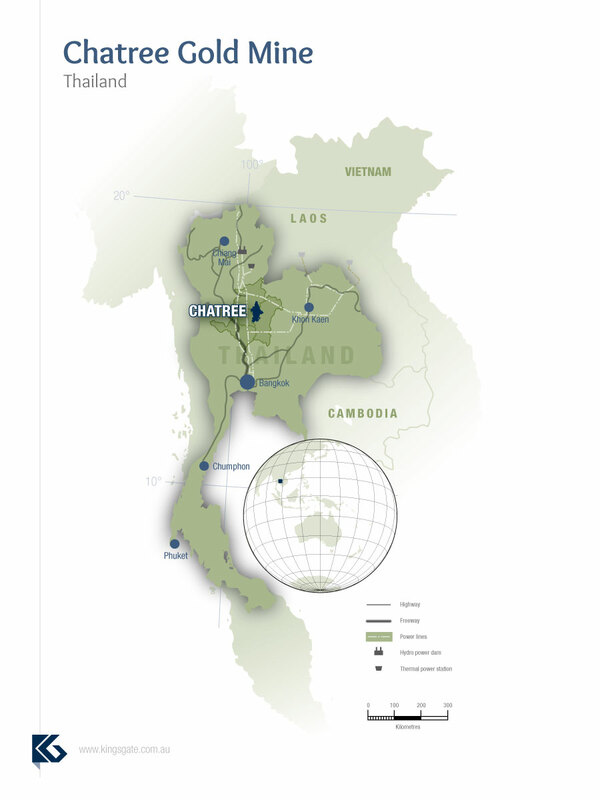 Chatree gold mine is located 280 kilometres north of Bangkok on the provincial border of Phichit and Phetchabun Provinces. The villages around Chatree lead a predominantly agrarian lifestyle with rice growing as the main activity. It is important therefore, that Chatree is a good corporate citizen for our immediate neighbours and in Thailand generally. Chatree has as a primary goal, to minimise the impact of mining operations on those living and working nearby. We seek to achieve this through regular meetings and consultation with local government and village groups, and by assisting the community in times of need. 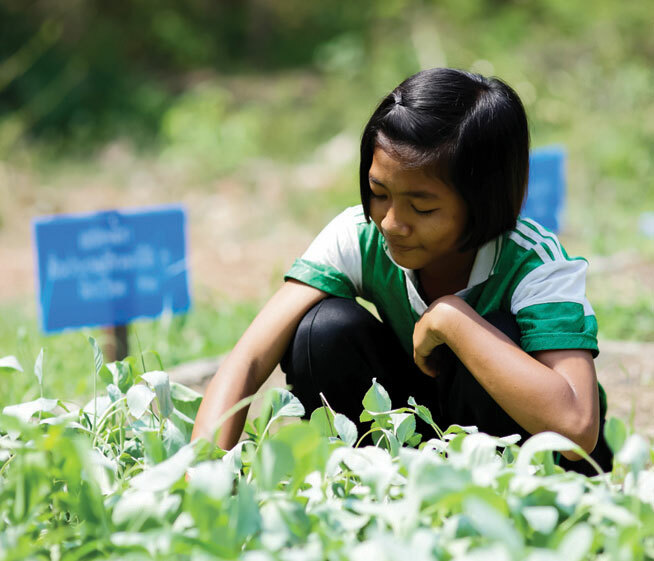 Corporate Social Responsibility at Chatree is a continuing commitment to behave ethically and contribute to economic development in the local area, improving the quality of life of our workforce, their families and the local community. In order to facilitate this, we have established four funds. These are: an “EIA Fund” for any environmental impact, an “Or Bor Tor Fund” (a sub-district fund), a “Village Fund” and an “Akara For Communities Fund”. Committees comprising government officials, village leaders and employees from Chatree manage each fund, ensuring transparency with diligent fund disbursement and project management. The Chatree workforce totalled 965 at the end of 2015, comprising 345 Akara Resources employees, 420 LotusHall persons with a further 200 employed as minor contractors. Turnover of Akara permanent employees for the year ending 30 June 2015 was 16.9% comprised of 6.4% voluntary and 10.5% involuntary. Chatree also maintained its certificate of SA8000 (Social Accountability Accreditation) since 2009. Our business is focused on employee engagement and our objective is to ensure that our employees are appropriately placed in roles that are in line with our commercial goals. Akara offers comprehensive training in relevant safety and job-related areas to all staff and also assists employees to obtain tertiary education qualifications. To date, 53 employees have been sponsored for higher education pursuits. One employee was sponsored for a doctoral degree, 35 for Masters level degrees, nine for Bachelor level degrees, eight for Diploma Certificates and one employee was sponsored for an MBA short course. While rainfall can occur year round, it is generally concentrated during the annual monsoon period (July to October). The responsible management of water is therefore of utmost importance to the Chatree mine and to the surrounding area. Chatree operates on a nil-release basis and all rain water on the mine lease is harvested, requiring continuous management of usage, quality and storage. Twenty seven surface-water and 88 groundwater quality test sites have been established, all of which are regularly monitored and sampled. To date, no results from any of these sites have caused any environmental concerns. To gauge any potential drawdown impact on local groundwater, the mine regularly monitors 75 water table measuring stations, located on the mine site and in surrounding villages. Water levels rise and fall seasonally but no long-term adverse trends have been identified. A total of 1,089,749 tonnes of make-up water (predominantly rainwater stored in pits) was used to process 5,283,366 tonnes for the year ending 30 June 2015. Water usage per tonne of ore is reduced by recycling water from the Tailings Storage Facility. In April 2015, the fourteenth annual Tailings Storage Facility Audit was undertaken. Knight Piésold Consulting found that the tailings facility continues to be operated and built at best practice and the Chatree Processing Department demonstrates a good understanding of the facility. In January 2015, Environ Australia Pty Ltd undertook the thirteenth “whole of site” environmental audit of the Chatree mine. The audit is designed to assess compliance with conditions in the Mining Leases, corporate commitments made in the current Environmental Impact Assessment, adherence to corporate environmental policy, observance of the Australian Minerals Industry Code for Environmental Management and Enduring Value, and our environmental performance overall. The audit concluded that the operations of the Chatree Gold Project comply with applicable statutory requirements as well as voluntary environmental commitments made by Akara Resources Public Company Limited. The audit also indicated that the project operations are being carried out in accordance with the requirements of the Australian Minerals Industry Code for Environmental Management and that the responsibilities of Kingsgate, as a Code signatory, are being addressed. Chatree continues to meet all requirements of The International Cyanide Management Code for Gold Mining Operations. The Code mandates strict protocols for the manufacture, transport, storage and use of cyanide. The last cyanide code audit was carried out in 2014. The certification of Plant No. 2, the new processing plant, and the re-certification of the old processing plant were announced on 25th June 2014 by the International Cyanide Management Institute. Readings of discharge to the Tailings Storage Facility are taken every 60 minutes. Of the 8,760 readings taken during the reporting period, a total of 99% showed the discharge of cyanide did not exceed the 20mg/L CNTOT standard. The highest monthly reading obtained was 17.3mg/L CNTOT with an annual average of 11.2mg/L CNTOT. Birds continue to nest and breed near the Tailings Storage Facility, confirming that our cyanide discharge presents no environmental hazard. Ongoing cyanide destruction is also assisted by numerous introduced micro-organisms which are able to degrade free cyanide to carbon dioxide and ammonia. There were 79 environmental events during the year. All were minor, relating to hydrocarbon leaks and spills, and were contained. There were no reportable incidents. No contaminated land issues arose during the year ending 30 June 2015. The rehabilitation program is ongoing with areas contoured and planted as soon as practicable. Trials of various species are undertaken to ensure the optimal results for each location and many species of trees and grass have been sown successfully across the site. Some 13.55 hectares were rehabilitated the year ending 30 June 2015, and 10.91 hectares of rehabilitation is planned for 2016. Akara is mindful of the impacts that noise and vibration from blasting may have on surrounding residents of the mine. Blasting is restricted to certain times of the day and measures are taken with its blast design to minimize noise and vibration. Noise and vibration during each blast are monitored regularly and the data used as feedback in the blast design process. Effective noise barriers have been developed around operations, and in some circumstances operations have been restricted to daylight hours. Chatree’s aim is to produce minimal dust and thereby reduce neighbouring concerns by maintaining all mine roadways in good order through regular gravel sheeting and watering. Dust monitoring stations have been established in nine surrounding villages. All results from the regular monitoring and sampling program have been within required quality standards.